The first time I went rappelling was in 2012, on the 110-meter rock face of Mt. San Miguel in Bataan that could be one of the highest rappelling sites in the Philippines. To say I was scared stiff was an understatement; how would you feel if you were to go down a 35-storey high building on your own, connected only with a piece of rope? And it was your first time to do so? The fact that you also determine how fast (or slow) you’re going down is nerve-wracking. If you accidentally let go, you’d definitely fall down…at least until your belayer stops your drop. In any case, my first time rappelling went so well I had to go again, using Aussie style this time, which meant going down facing the ground. (The usual is called Swiss style, where you go down facing up, with the ground at your back.) Even though it was scary seeing how far away the ground was, it was much easier to do since I already knew what to expect. Despite how much I loved rappelling, I never found a chance to do it again. That is, until Israel. Me in Makhtesh Ramon in the Negev Desert, Israel. 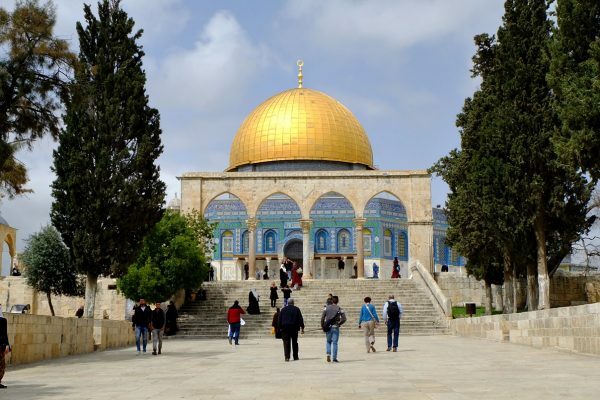 I visited Israel the first time to take my mother on a Holy Land Tour in March. 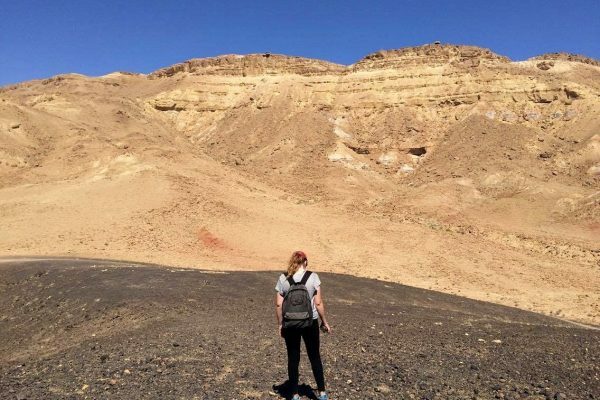 When she left, I chose to stay behind and spend six weeks in the Negev Desert. Mitzpe Ramon, my home for a month and a half, lies at the edge of the Ramon Crater (or more correctly, the Makhtesh Ramon). People visit there for the spectacular views, the hiking, and even the night sky. What I didn’t know was that people could also go rappelling. 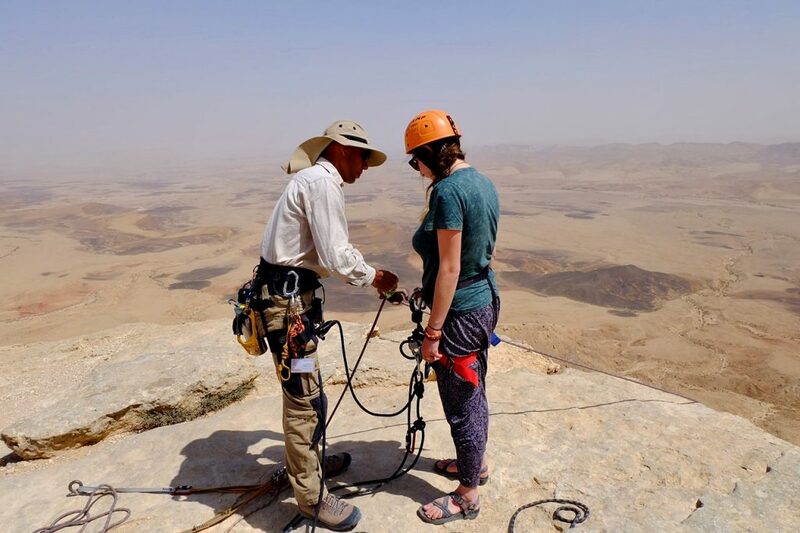 I was invited by 4x Desert to join the rappelling activity especially organized for guests of The Green Backpackers Hostel, and I was more than happy to go. I still remembered the thrill of my first rappelling experience and wanted to feel it again. Adventure expert Yoash Limon at the edge of the crater. 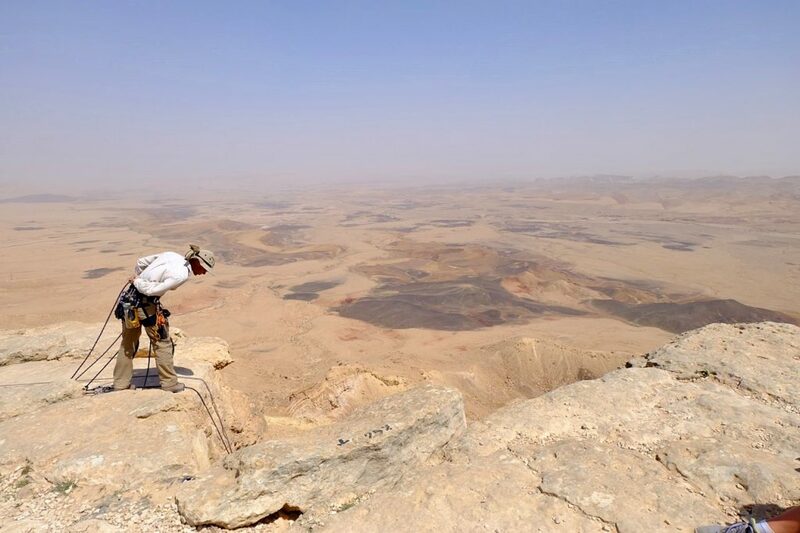 The rappel site is at the back of Mitzpe Ramon’s Visitors Center. 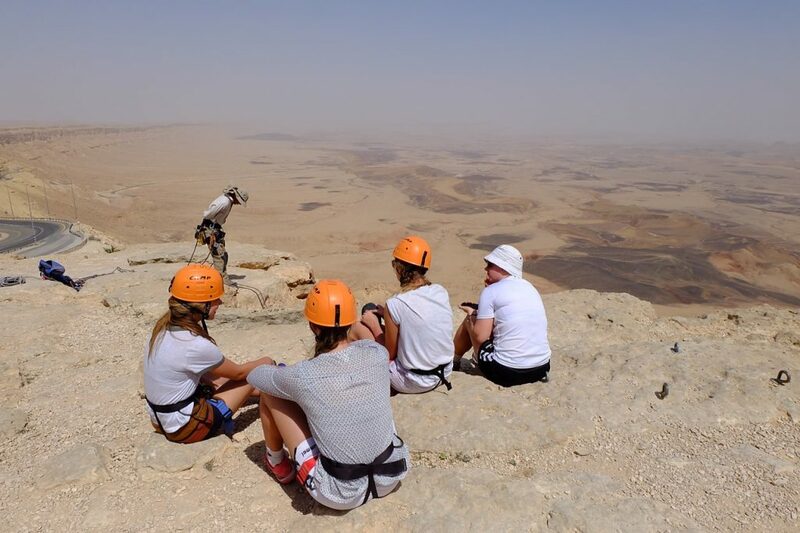 When I arrived there with the guests of the hostel, the rappelling instructor and 4xDesert owner Yoash Limon was already there, getting a group of kids to try rappelling. The kids were game; they probably felt nervous as well, but they followed Yoash’s instructions. When all the kids were done, Yoash transferred the ropes to another set of bolts, this time to a 25m route that was much longer than the kids’ and a little bit tricky. There were eight of us, all women, and most were first timers. Some of the participants waiting for their turn to rappel. The instructor making sure everything was put on correctly. Yoash showed us how to put on the harness and how to tighten it. He checked everything to make sure we did everything correctly, and then individually gave us an orientation on what was going to happen during the rappel. One of the women, already harnessed and geared up, backed out at the last minute. I admired Yoash’s way of dealing with nervous clients; he encouraged but did not push. He asked the woman to just continue wearing the harness, as she might change her mind later. Indeed, on our second round, she did overcome her fear and went down. Yay for her! While the 25m rappel was much shorter compared to the 110m I did in the Philippines, I still enjoyed it a lot. There’s something about rappelling that really sets your heart pumping, especially when you take that first step off the edge of the mountain. The fact that the view was breathtaking also made the rappel special for me. I had to stop midway to take photos with my smartphone; alas, the photos didn’t do justice to the views. You just have to be there to appreciate it! View of the rappel from the ground. Unlike in the Philippines, where the belayers were on the ground, Yoash was belaying from the top. I don’t know the advantages/disadvantages of belaying from the top or from the ground, but we didn’t have a problem, even with the first timers. There was a tricky part just a few meters from the top, and Yoash paid close attention to it, but after that, it was just a straight drop down. 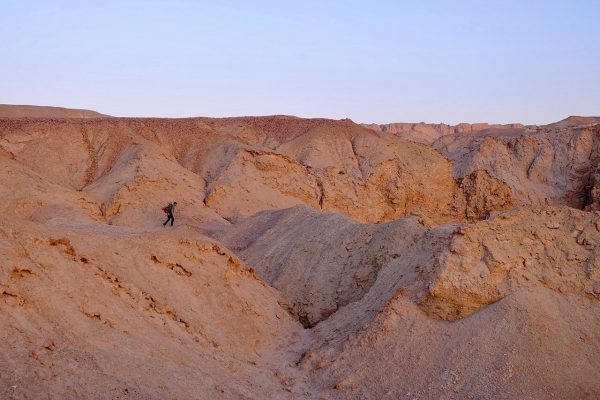 To say that the Negev Desert has surprised me is a big understatement. There are just so many things to do there, and even though I stayed there for six weeks, I could have easily stayed six months. 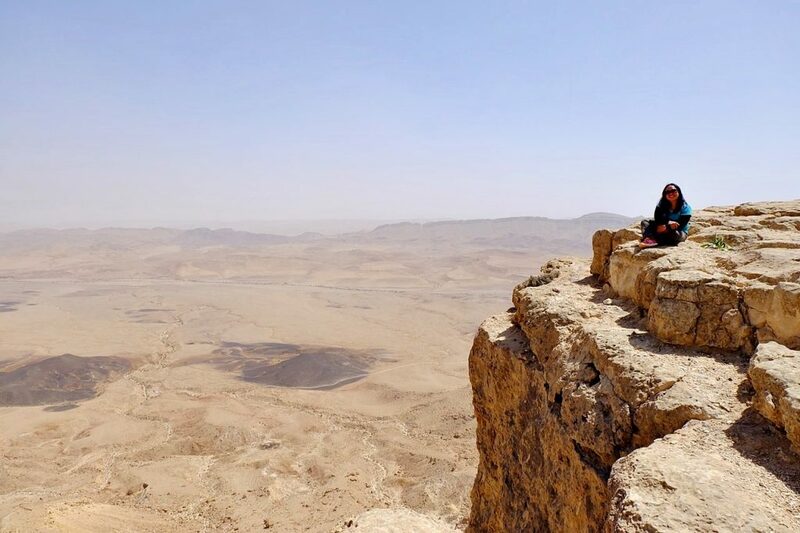 I’m still in Israel, and now in a different desert, but I will definitely make it a point to visit Mitzpe Ramon again at some point, if only to see the crater that I once considered home for a brief period of time. 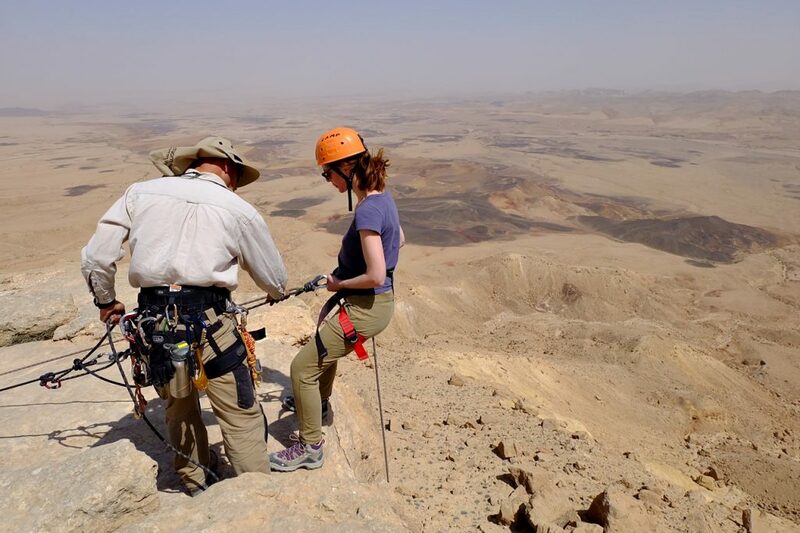 Have you gone rappelling before? 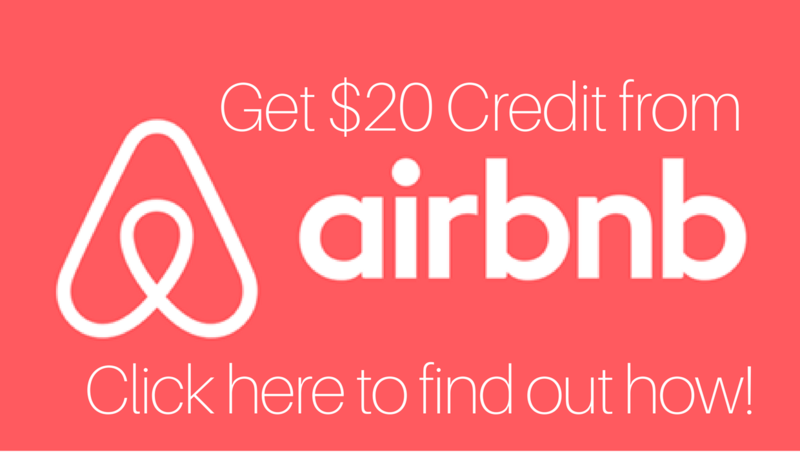 Where and how was your experience? Do share! Six weeks in the desert?! That’s so awesome! Woah! That height of repelling down, must be scary. Awesome landscape view though. Wow. Stunning views and I am glad the other participant who backed out at first pursue doing it later as that person could have missed the amazing view. I have not been to Israel yet, surprisingly, all that I read from your post about Israel are tempting me to come visit soon. I’m just reading about this and I feel like I would probably be nauseous until I get my feet back down. This sounds exhilaratingly fun but also terrifying! Wow that is amazing! I imagine that first step over the edge must be like the first dip down on a roller coaster only 100x’s more intense! And so great the other woman overcame her fear. While this activity is definitely not for me, I find this very interesting. 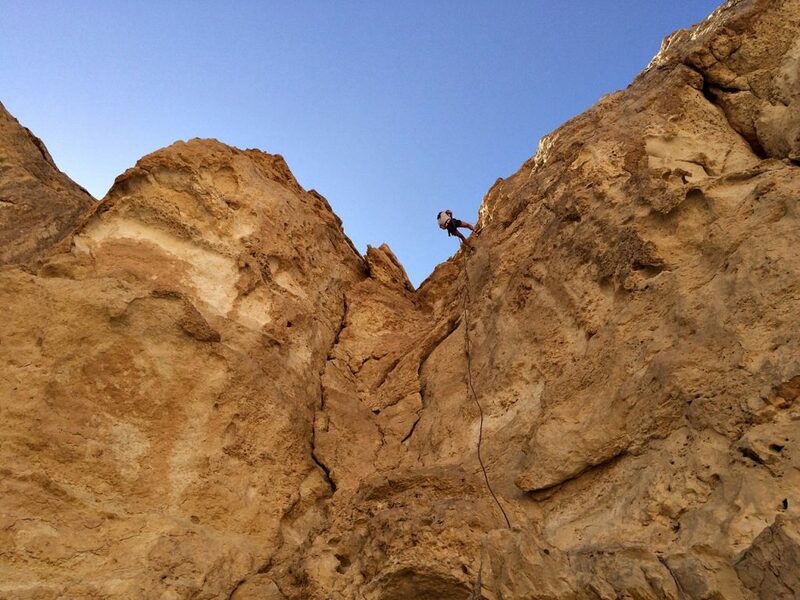 If I only have one choice – and my life depended on it – between rock climbing and rappelling, I would choose the latter. This is super cool! Sheila and I would definitely love this! I’m sure you two would love Israel! There’s TONS of adventure activities to do here. That would be awesome! 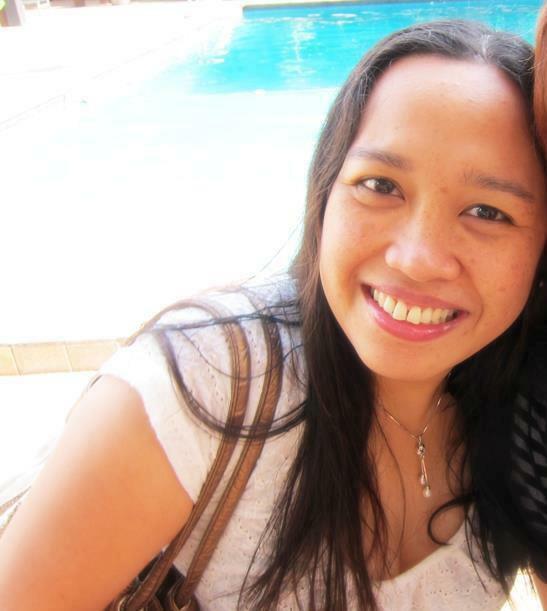 We’ll definitely go for it if we have the opportunity to visit Israel. Ohh my father was born there! Growing up, I heard so many stories about Pulangi. Rappelling is so much fun, isn’t it? Wholly moley the landscape here makes this look 13x more epic 😀 Go you!